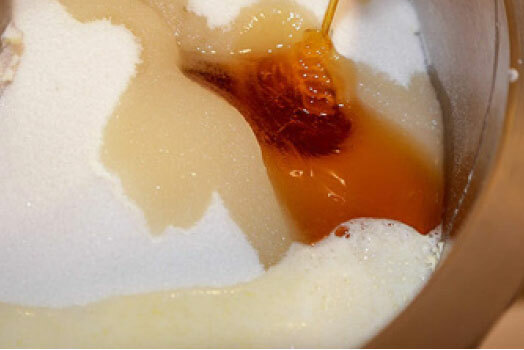 We invite you to take a peek into our kitchen and see what we do to make our product so scumptious! 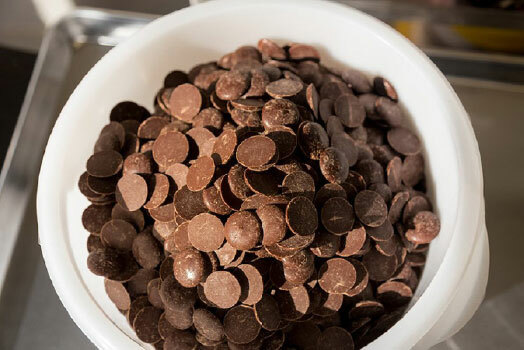 European milk chocolate waits for melting. The final product - cut and ready to be packaged. 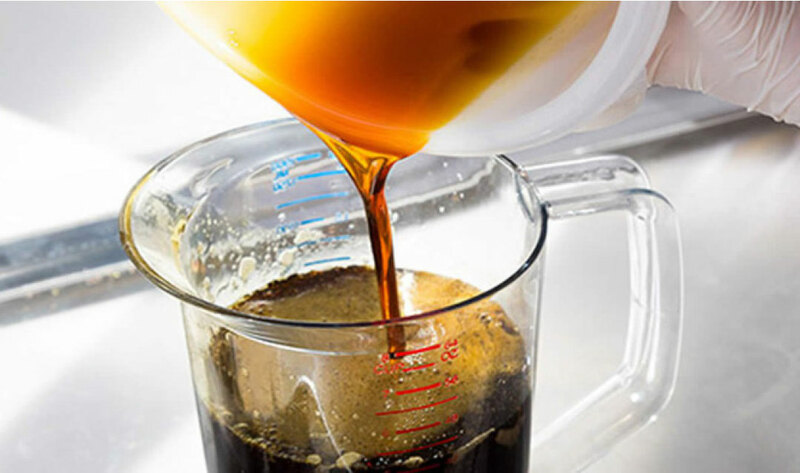 This is how Maple Crunch magic happens, with this pure dark maple elixir. 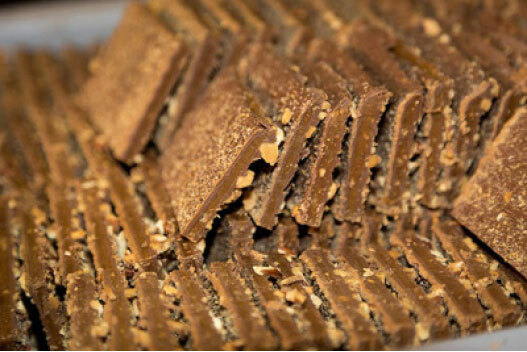 We make our fabulous buttery toffee slowly, with great care. 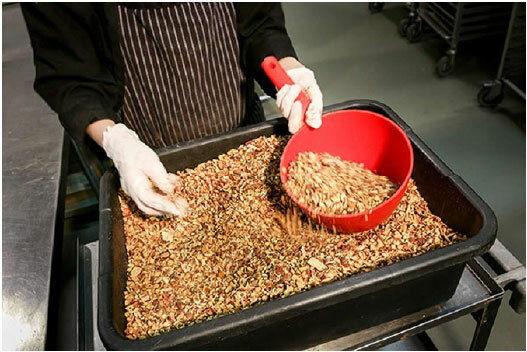 Pecans ready to be toasted. 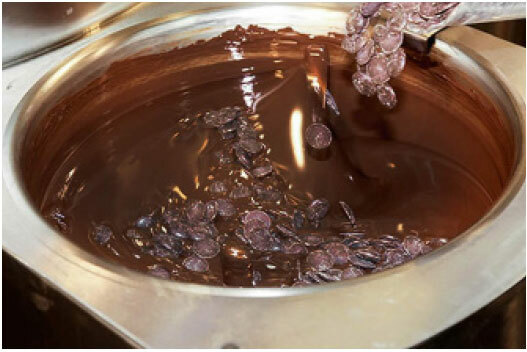 Melting and tempering our dark European chocolate. 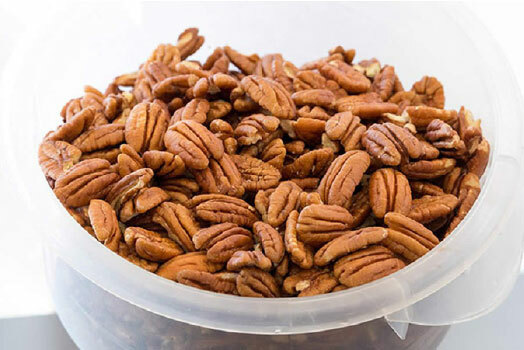 Can’t have this treat without our roasted pecans. 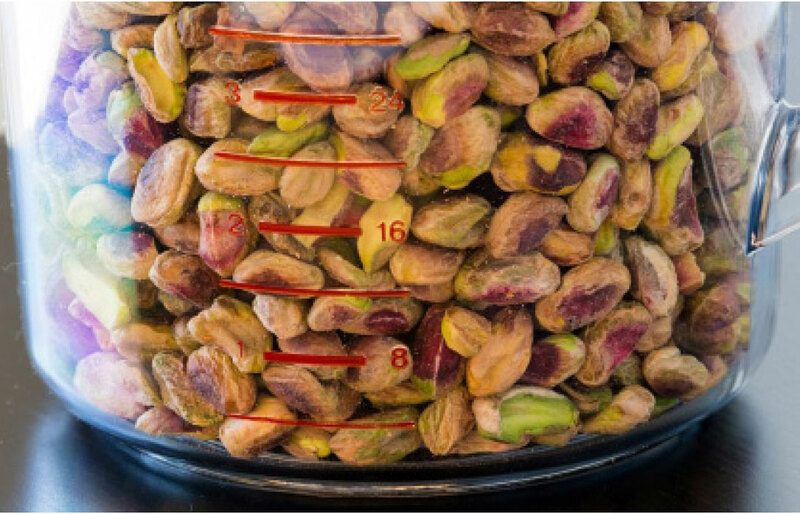 Weighing our fresh pistachios before roasting. 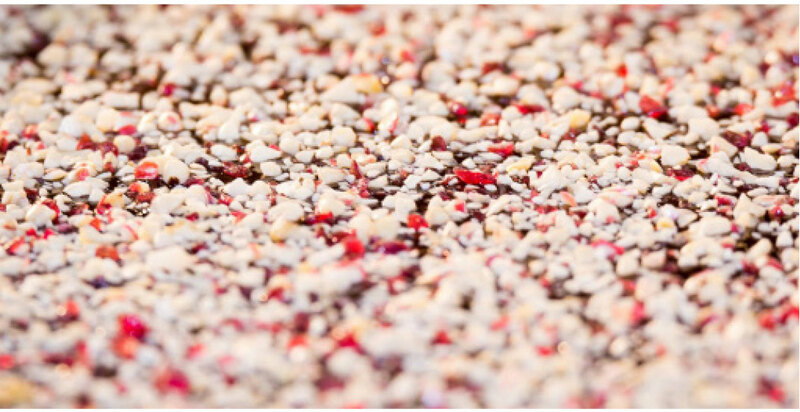 Here is a closer look at these cool, plum-coloured peppermint bits.